Snorkeling in the Cenotes: This is a must do. The Riviera Maya is full of underwater caves called "cenotes." Gran Cenote is just a ten minute drive from the hotel zone in Tulum, and there are dive shops that will take you there (and give you a tour) if you don't have a car. Dos Ojos Cenote is about 45 minutes from Tulum but is much bigger than Gran Cenote. We're making that a priority this trip! Tours in Sian Ka'an: Tulum is home to an expansive bioreserve. There are all sorts of things you can do to explore: bird watching, sport fishing, kayaking, hiking, snorkeling, archaeological sites, floating on mangrove-surrounded rivers, etc. Sian Ka'an Community Tours or Cesiak are good organizations to tour with. Snorkeling near the Tulum Ruins: We did a half-day snorkeling trip with Mexi-Divers last June and loved it! You'll go to three different spots in the ocean with a beautiful view of the Tulum Ruins. Mexi-Divers also offers many other tours, including trips to the cenotes. They are lovely people - highly recommend them! Yoga: There are many spots that offer yoga classes in Tulum. We did a class at Papaya Playa, but Maya Tulum is a wonderful wellness retreat & spa in the hotel zone that offers many, many classes. Massage: Many of the hotels in Tulum boast amazing spas. Tulum is also famous for its Mayan Clay massages. We had wonderful massages at Maya Tulum the last time we were there. Kiteboarding, Paddleboarding & Diving: Tulum is a top spot for Kiteboarding. If you're into the more extreme sports, you're in luck! We haven't tried this out, but Extreme Control is a school that offers classes and rentals. Delicious Food: We thoroughly enjoyed the food in Tulum. Zamas had the best huevos rancheros we've ever had (they also have great live music many nights a week). Be Tulum had delicious salads and ceviche. And Papaya Playa had incredible drinks and snacks. There are many places we didn't get to try, so we hope you'll explore and share your favorite spots with us! You have to try the Agua de Chaya, a healthy green drink, offered by almost every hotel and restaurant. Tulum Ruins: Tulum is home to ancient Mayan ruins. The ruins have an incredible view of the sea -- it was a seaport in the 13th century. The ruins were a bit packed with tourists when we were there, but it's still a neat thing to explore. 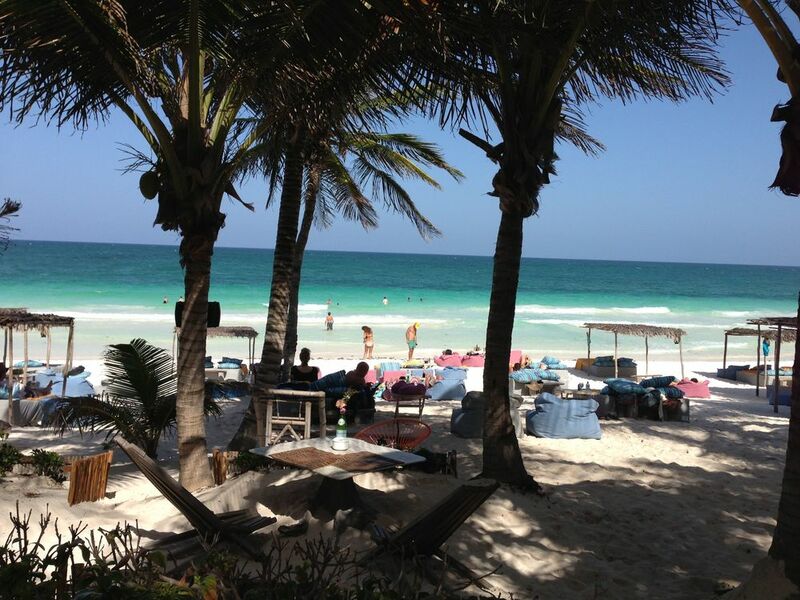 Tulum Pueblo: You'll be staying in the Tulum Hotel Zone (also known as Tulum Playa). Tulum Pueblo is much less tourist-y, but it's a neat little town to explore if you want to get a more authentic Mexican experience. Here's a great wiki travel link with a lot of information about the area, things to do, and more.